Thank you for choosing RIDGID. All of the 18v RIDGID batteries and tools will interchange. Will this batt fit another brand drill? Looking to replace another manufacture battery, part # PCC680L. Will this pack fit? can these be used with 18v Ridgid Ni-cd power tools ? I have a 5pc cordless power tool set that uses 3 MAXHC 130254003 batteries. 1) Can I use new Li-ion 18 v batteries (and Li-ion charger) with them? 2) What are my options for upgrading batteries (and charger) battery weights and capacity, compared to the 130254003 batteries? I need to find replacement batteries for R830153 Drill. The battery # is 130254008. Are these batteries still available or is there a replacement # that fits that drill? Will this work with a RP-340 press tool? No, sorry. 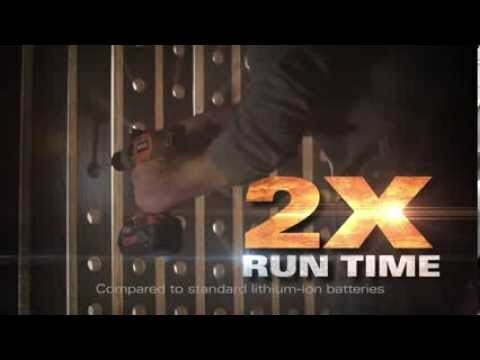 Batteries available at The Home Depot are not compatible with RIDGID press tools or cameras.